If you’ve recently thought about designing or upgrading your kitchen, you’re probably aware of the vast array of kitchen companies out there to choose from. 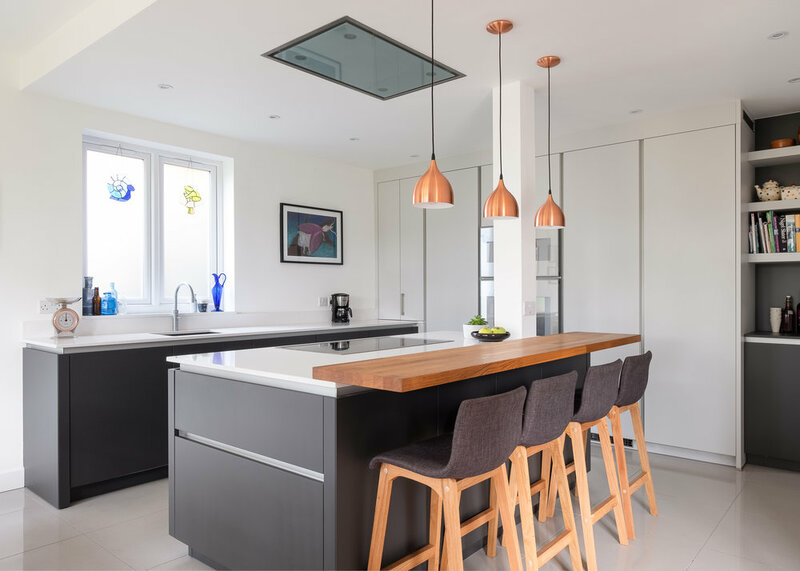 Whilst it’s great that there are so many experts available to help you design your dream kitchen, it can be overwhelming when you’re trying to decide which company to go for – especially as the kitchen is the heart of the home. Some of you are no doubt contemplating designing your own, but this can be a huge risk, considering most homeowners lack the expert knowledge needed to fit a well-functioning, well-balanced kitchen. Hiring a kitchen designer, therefore, is highly recommended; however, choosing the right one for you can be a challenge. Planning is key. After researching some options, write down what it is that you want from your new kitchen, as well as the kitchen company that will design and build it for you. Narrowing down your preferences and needs with regards to your specific kitchen will ultimately help you to fine-tune the kitchen company that’s right for you. A company who is willing to help you in the planning process is also something to consider, especially if you’re struggling with deciding on what it is that you want. Choosing a long established kitchen company with a great track record is essential, since this will ensure that you’re provided with expert advice and high quality products. Having a look at the company website for testimonials, reviews and past projects is a great way to discover the true value of a company. This way, you’ll gain a visual insight into the kind of styles that the company specialises in – and decide whether they align with the styles that you’re after. You might also decide to go a step further and contact previous clients of a company you’re interested in. Additionally, looking for evidence of credentials, specialist training and licensing will help to ensure that you’re choosing a legitimate company. Finding a company that listens to your wants and needs and is willing to tailor their advice to you is always a good start. Visiting a kitchen company in-store and speaking to a design consultant can be the best way to get a true feel for how flexible the company is with regards to tailoring their designs to your specification. Additionally, it’s worth considering that you’ll be consulting with these people throughout the whole process – so it pays to pick a company that you feel you can work with. Visiting in store is also a great chance to ask for extra design examples of previous work that has been carried out. Moreover, seeing the products in a showroom will give you an idea of the practicality of the products on offer, allowing you to check that functionality matches up to aesthetics. If a kitchen company has a good track record, good reviews from previous clients and credentials/specialist training, then you’re already off to a great start. To speak to one of our design consultants, come and visit us in store.